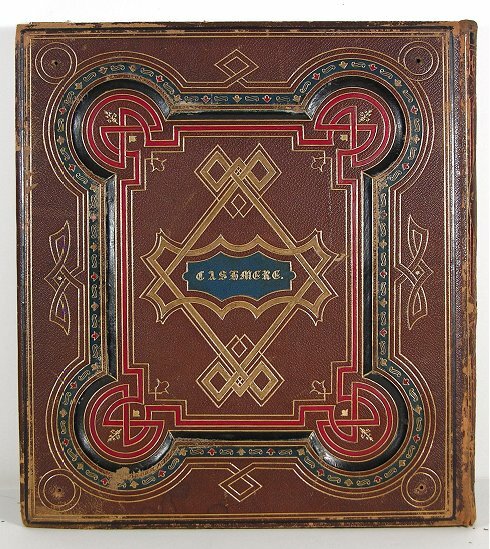 The photographs scattered throughout this post and all from a spectacular, circa 1867, finely bound, large folio album. 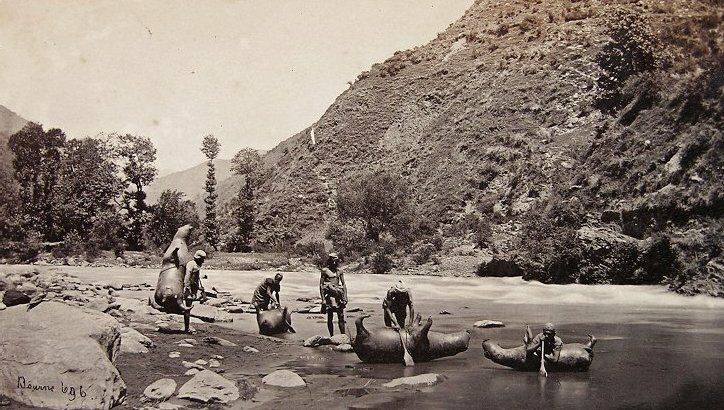 Each is an original, stunningly beautiful, large format Albumen photograph of the Himalayan Mountains and the region of Kashmir by the preeminent, 19th-century British travel photographer Samuel Bourne– renowned for his prolific seven years’ work in India, from 1863 to 1870. 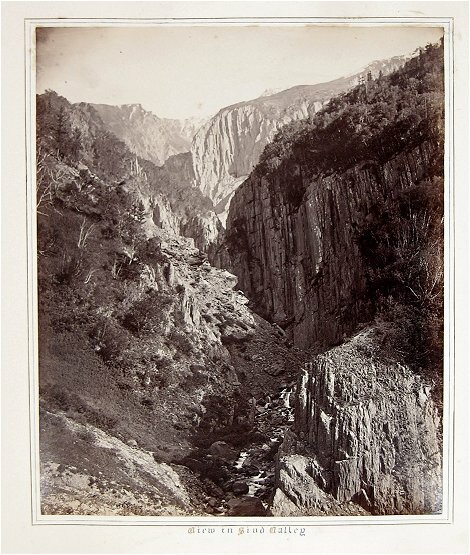 The album, titled Cashmere, contained 38 of the most beautiful, original, circa-1867 Albumen photographs taken during Bourne’s 12-month, 1866-7 journey through the Himalayas to the region then known as Cashmere (or Kashmir). Seldom does a collection of these breathtaking Albumen photographs come to light, and the volume described here is an untouched, complete album of views documenting Bourne’s epic journey. Contained within the album are 44, light- to medium-weight card leaves on which are mounted 38 images in total– 27 are rare, full plate images measuring 11 1/2″ x 9 1/2″ which are (obviously) mounted one to a page. There are also 9 photographs measuring 7 1/2″ x 4 1/4″ and 2 measuring 3 3/4″ x 4 1/4″. Each photograph is surrounded by a double, hand ruled, line border in blue and black inks. Below each image, there is a hand-lettered title done with gold and blue inks, in an exquisite, Gothic-style Calligraphic font. The leaves with mounted photographs are hand numbered with Roman Numerals I through XXXIII. The included photographs are some of the most stunningly beautiful, mid-19th century “travel” images we have ever come across. The first 26 Photos document Bourne’s journey through the Himalayas, while the final 12 are views that were taken in the region of Kashmir. Arriving in Calcutta early in 1863, British Landscape Photographer Samuel Bourne initially set up in partnership with an already established Calcutta photographer, William Howard. They moved up to Simla, where they established a new studio, Howard & Bourne, to be joined in 1864 by Charles Shepherd, to form Howard, Bourne & Shepherd. By 1866, after the departure of Howard, it became Bourne & Shepherd, which became the premier photographic studio in India. When Samuel Bourne set off on his nearly 12 month sojourn to the Kashmir region of the Indian Sub-Continent, he journeyed with an immense amount of equipment and personal luggage. Everything needed to be carried on the backs of, what he called, “coolies“– human pack animals. Included were 2 very large wet plate cameras and 250 12″x10″ glass plates and 400 8″ x 4 1/2″ plates, not to mention the tremendous amount of chemicals, darkroom equipment, lenses, tripods, etc. In all there were 42 men employed in carrying Bourne’s equipment on this epic undertaking. Working primarily with a 10×12 inch plate camera, and using the complicated and laborious Wet Plate Collodion process, the impressive body of work he produced was always of superb technical quality and often of artistic brilliance. The images contained in this album attest to his skill and artistic genius. 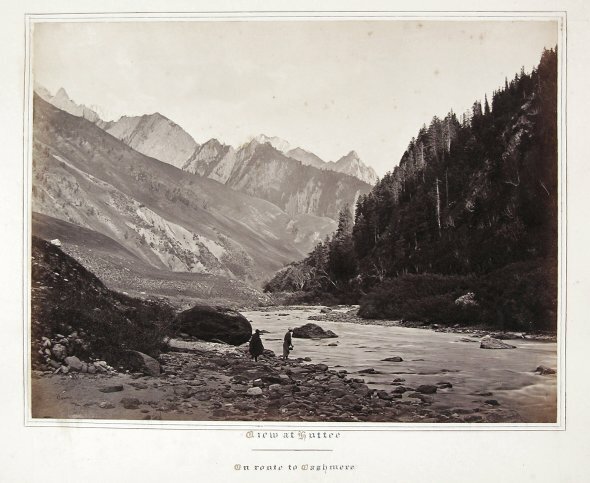 His ability to create superb photographs whilst traveling in the most remote areas of the Himalayas and working under the most strenuous physical conditions, places him firmly amongst the very finest of 19th-century travel photographers. 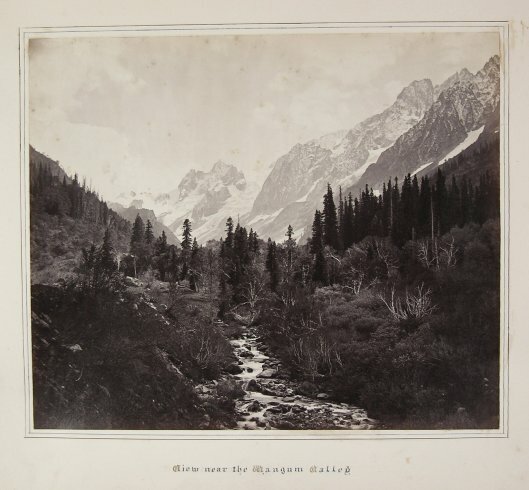 We believe that the photographs contained in this album were printed out sometime between 1867, when Bourne returned from Kashmir, and 1870, when he returned to England after 7 years in India. Upon returning to his homeland, Bourne expended most of his energies in non-photographic business endeavors. Although continuing to photograph as a relaxation, and belonging to the local Photographic Society, much of his creative energy from this time onwards was devoted to water-color painting. 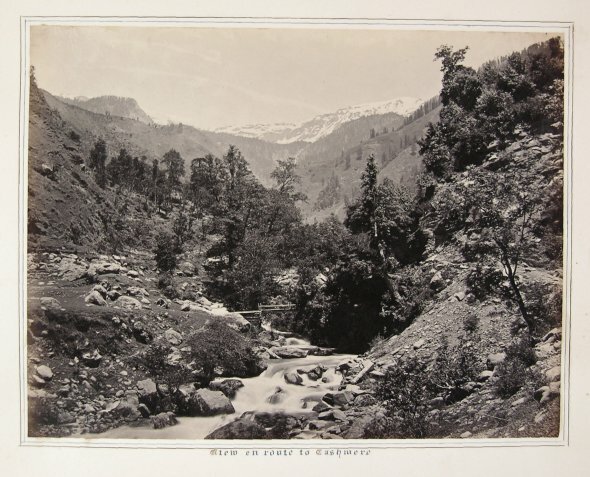 Bourne is justly regarded as one of the finest landscape and travel photographers of 19th-century India; combining a fine eye for composition with high technical expertise. 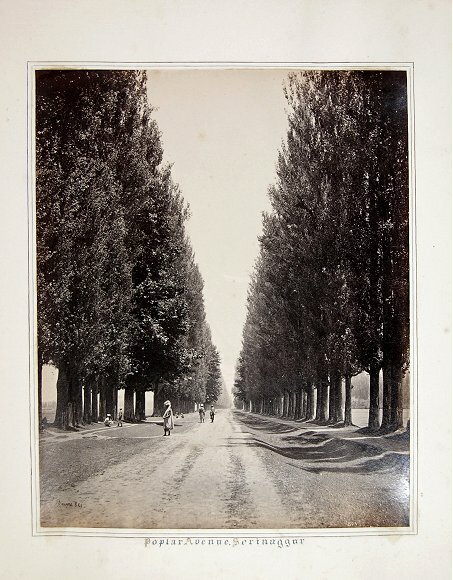 This entry was posted in Photography and tagged 19th century, albumen, antique photographs, british photography, cashmere, kashmir, samuel bourne, travel photography. Bookmark the permalink.